I came across a video by Sincerely Truman, from their Dear JJ Abrams campaign which aims to “Make Star Wars great again” (presumably a reference to the disappointing Star Wars prequals). While it is a very clever and well put together video, the emphasis on ‘the frontier’ stood out to me. The first of the four ‘rules’ they chose to highlight to make Star Wars great again was a geographical concept. The original Star Wars took place on the periphery, the frontier: “It happens out here. Away form civilisation. Amidst smugglers and bounty hunters. Star Wars is a Western.” This presents an inherently spatial understanding of Star Wars. An element of the excitement and danger of the original trilogy was the settings: in mob-controlled territories, frozen hideouts and swampy retreats. Indeed, the connection between Science Fiction and Westerns is rather well developed, from Gene Roddenberry’s supposedly selling Star Trek as a western in space and Joss Whedon’s Firefly universe beautifully marrying the two (see my previous post discussing geographical aspects of Firefly/Serenity Universe). While the argument may rest on simplistic tropes – an urban civilised core versus a wild adventure edge – it is still a good point which draws attention to the role of place, even in deep space. The ‘Verse is the colloquialism for the known Universe in the science-fiction TV series Firefly (2002-03) and the follow-up film Serenity (2005). The series/film, created by Joss Whedon, are a Sci-Fi Western or Space Western drama set in 2517 when people have colonised a new star system after a mass-exodus of ‘earth-that-was’ due to population pressures. The show, which was cancelled after only series/season (although it has a considerable cult status) and subsequent film, follow a motley band of characters on a Firefly-class space ship called Serenity. In doing so, like all good science-fiction, it explores deeper political, social and cultural issues. The ‘Verse is a rich terrain for geographic observations. The ‘Verse is one star system, consisting of a cluster of five stars and several brown dwarfs, in which people are spread over dozens of planets and hundreds of moons (all mostly referred to as worlds). 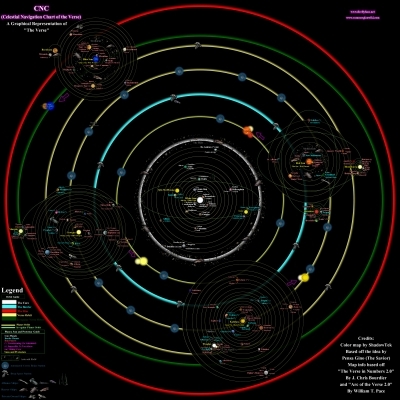 This is a more limited setting than other sci-fi shows and, therefore, creates a situation that balances the expansiveness of space and the containment of a single star system, albeit a large system consisting of several minor ones (facilitated by the absence of faster-than-light travel). The ‘Verse then is the sphere in which these peoples operate, it is the ‘known’ universe in as much it is the region of life and existence. The ‘Verse as a vast yet bound space is ideally suited to examinations of cores and peripheries, with the central worlds being centres of government, civility and high-culture and the peripheral (or Rim) worlds being unruly, rough and rustic. Themes which are central to the stories, such as the controlling (semi-authoritarian) state, the dominance of mega-corporations, and individual’s and group’s search for freedom and self-determination, can unfold nicely in this universe. Related to these ideas, is the employment of (US American) Western tropes, including lawlessness, survival, persistence and evangelicalism. In many ways, it is as much a Western as a Science-Fiction tale. The peripheral worlds are literally frontier places. It is in these spaces that the taming and ‘civilising’ forces and the wild elements of the edge come in contact. The protagonists of the series/film occupy this space well as they are mostly anti-heroes who engage in illegal or at least para-legal activities, while adhering to their own code-of-honour. The lifestyles, landscapes, architecture, clothing, folk customs and dialects evoke the ‘Wild West’. And, as a Western, of course, there is plenty of room for horses, shoot-outs, bar fights and train heists. Language is a strong component of the world-making. Firstly, the occasional use of Chinese in the dialogue represents the survival as English and Chinese as the primary languages of humanity. 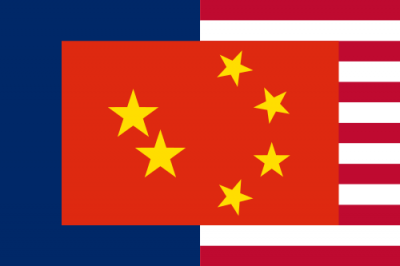 The Union of Allied Planets, the corporate super-government, is a blend of US American and Chinese culture and all the worlds of ‘Verse have a Chinese (Sino) and and English (Anglo) name. The implicit geo-politcal statement being the continued roles of the US and China as the dominant world powers into the future. Secondly, the manner and style of speech plays a large role in creating this universe. The Rim Worlds’ dialects and turns-of-phrase conjures up the folk speak of the West, while also differentiating those from the Rim Worlds – the fronters’ people, including some of the main cast (Mal, Zoe, Jayne and Kaylee) – from the civilised peoples of the core worlds – which also includes a number of the crew (Inara, Simon, River and Shepherd Book). Rim Worlds’ speech includes elements such as truncating the “g” from “ing” words (“schoolin’”), using “don’t” instead of “doesn’t, no -ly on adverbs from adjectives and misuse or malforming of verbs (Firefly Wiki Accessed 9 Feb 2013). Mal: And I’m thinkin’ you weren’t burdened with an overabundance of schooling. So why don’t we just ignore each other until we go away? Lund: The In’e’pen’ents were a bunch of cowardly, inbred piss-pots. Should’ve been killed off of every world spinnin’. Due to the short run of the series, many elements of the ‘Verse remain unexplored; however, the setting and the worlds created did offer interesting speculation of futures that will, or at least may be.